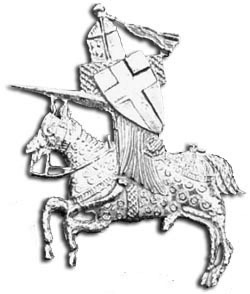 Our jousting knight badge bears the cross of St. George upon his shield. It was St. George whom the crusaders felt led them to the holy land and was their protector. The crusader knights often bore the red cross of St. George upon their tabards and shields.